Meant to increase the laptops’ multitasking possibilities, the 5.5-inch ScreenPad functions as a second screen for things like messaging or apps including a calculator, a video and music player or calendar. It can also be used as a launchpad for apps on the ZenBook Pro’s main display or serve as a function command screen for Microsoft Office programs. 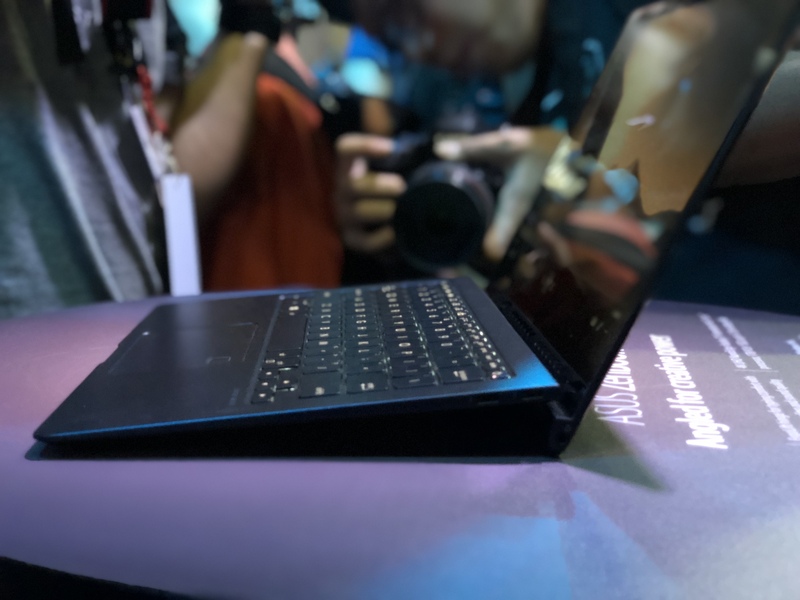 During his presentation, ASUS global PC and phone marketing senior director Marcel Campos said the ZenBook Pro 15 was designed with three kinds of professionals in mind: video makers, photographers and 3D designers. 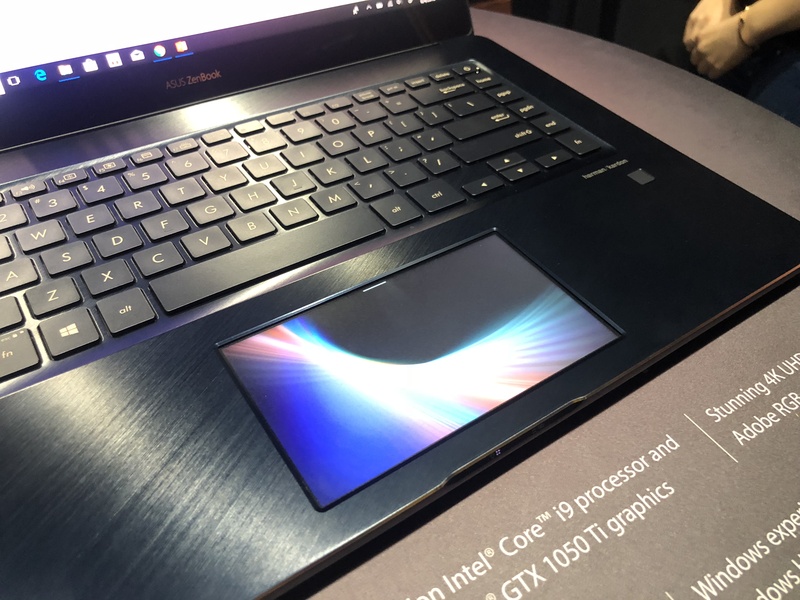 It has a 15.6-inch 4K UHD NanoEdge display with Delta E<2 Color Accuracy (ASUS says the Pro 15’s display has been validated by Pantone) and runs on an Intel Core i9 processor, 16GB of memory, a 1TB PCIe SSD and a GTX 1050 Ti graphics card. The Pro 15 is 18.9mm thick and weighs 1.88 kg. It will go on sale in mid-July starting at $2,299. The 14-inch ASUS Zenbook Pro 14 also has a 5.5-inch ScreenPad and boosts an Intel Core i7 processor, 16GB of memory, a 1TB PCIe SSD and GTX 1050 MAX-Q GPU. It is 17.9 mm thick and weights in at 1.6kg. 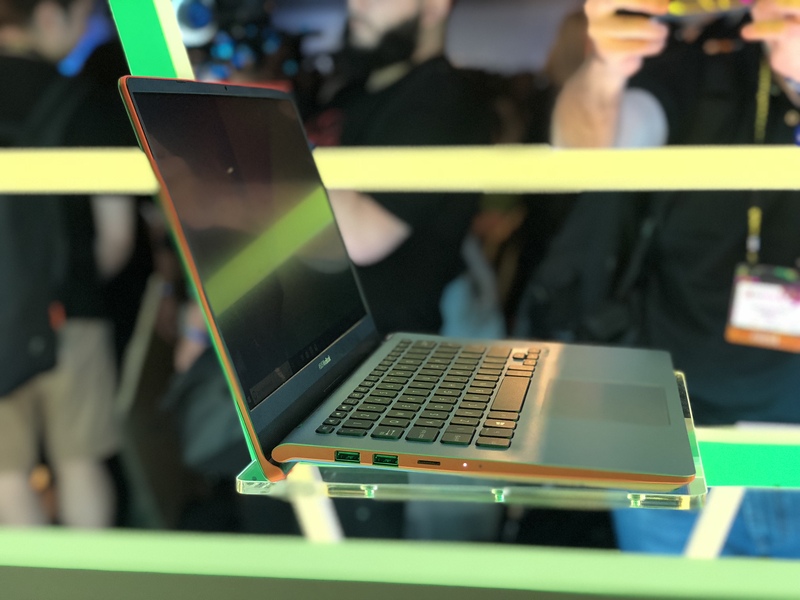 Both of the latest Zenbook Pro models are built with a new hinge design ASUS calls ErgoLift, which props the laptop’s keyboards up at 5.5 degree angle when it is opened. ErgoLift is also built into the latest models of ASUS’ Zenbook and VivoBook series. The ZenBook S is 12.9-mm thick and weighs 1 kg and runs on an Intel Core i7 processor, with 16GB of memory, a 1TB PCIe SSD and up to 13.5 hours of battery life. It has a 4K UHD, 331ppi NanoEdge display and 2 USB-C drives. ASUS claims up to 13.5 hours of battery, which will be released on June 11 for $1,199. The latest iterations of the VivoBook series, the 14-inch screen S14 and 15.6-inch S15, will come in 5 colors and also feature ErgoLift hinges. The S14 weights 1.4 kg and is 18-mm thick, while the S15 is 1.8 kg, 18-mm. Both have Intel Core i7-8550U or Intel Core i3-8130U processors, a NVIDIA GeForce MX150 or MX130 GPU and up to 16 GB of memory. The S15 will launch in the United States for $699 later this year. 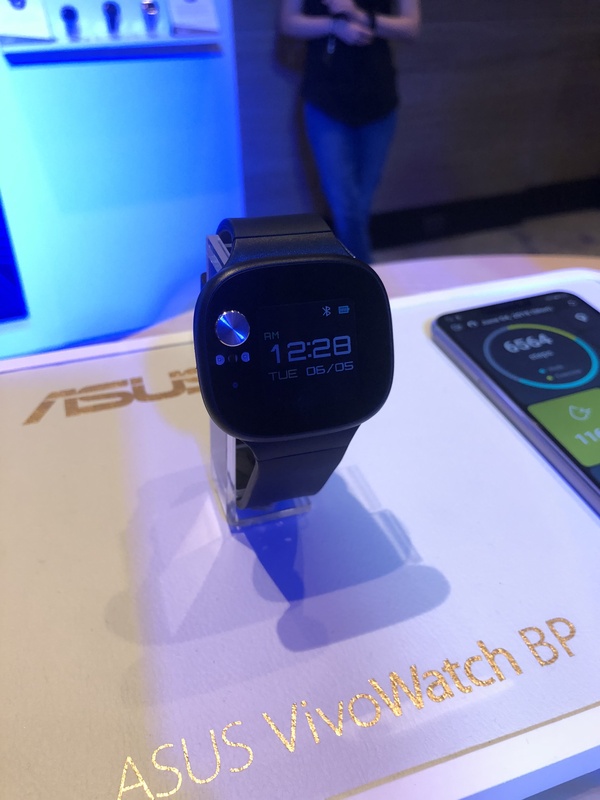 Other notable launches by ASUS include a blood pressure monitor that the company says is not a smartwatch or fitness tracker, even though it looks a lot like one. Called the ASUS VivoWatch, the wearable delivers real-time blood pressure data in 15 seconds, has a Gorilla Glass screen and ECG sensor on front of device and claims non-stop 28 day battery life. Like last year, ASUS didn’t debut new ZenFones, though it did show off a collaboration with Intel and Microsoft called Project Precog, the main fruit of which will be a dual-screen laptop with AI-powered features that is supposed to launch next year. ASUS also held an event on Monday before the official start of Computex today, focusing on its Republic of Gamers line of PCs and peripherals. There it debuted the ROG phone, a rival to the Razer Phone for gamers, that also has a 90Hz display, meant for smoother display of animations, and a 2.96GHz Qualcomm Snapdragon 845 chip. This was in addition to new gaming laptops, the Strix Scar II, which starts at $1,999, and the Strik Hero II, which will start at $1,699. Both have six-core Intel Coffee Lake Core i7-8750H or Core i5-8300H processors, 15.6-inch 144Hz 1080p “IPS-level” displays, up to 32GB of RAM, with a standard GPU of GTX 1060.